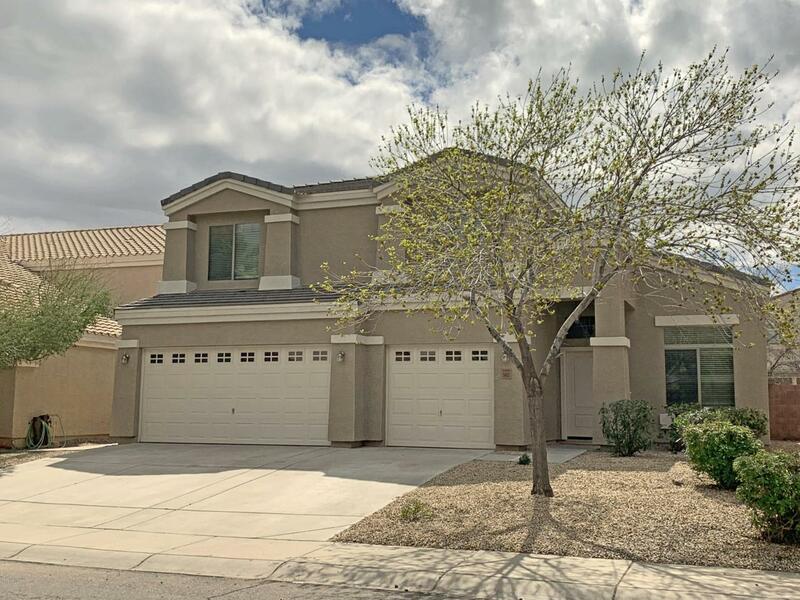 Beautiful Move In Ready 4 Bedroom, 2.5 Bath Home! Huge Kitchen with Island, Cherry Cabinets & 42'' Uppers! Kitchen opens to informal Dining with Built-in Desk to Family Room-also boasts formal combined Living & Dining Area! 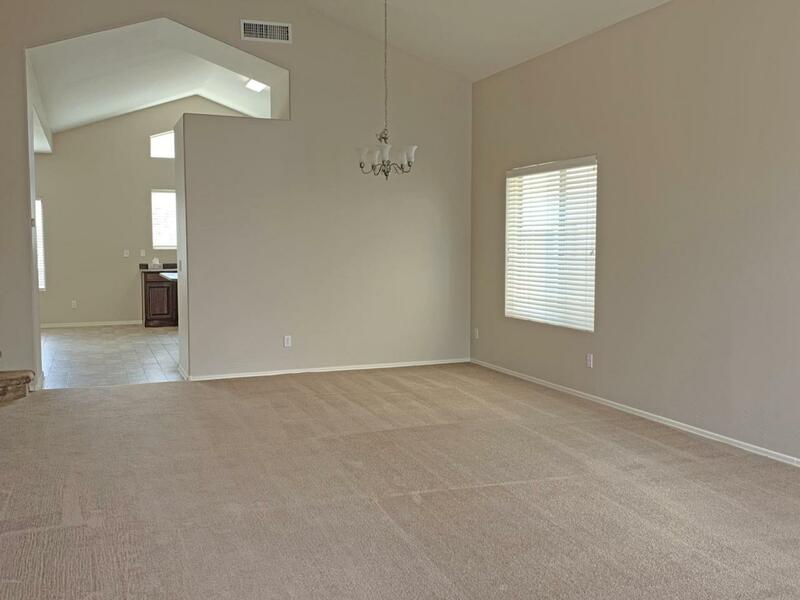 Vaulted ceilings give this home an open, spacious feel! 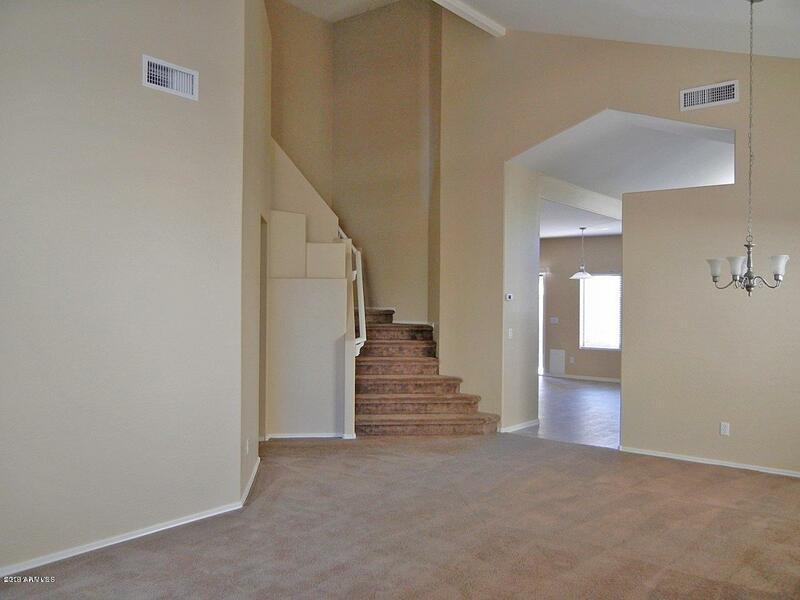 Massive Master Bedroom Suite allows King Size Bed & Sitting Area Plus! 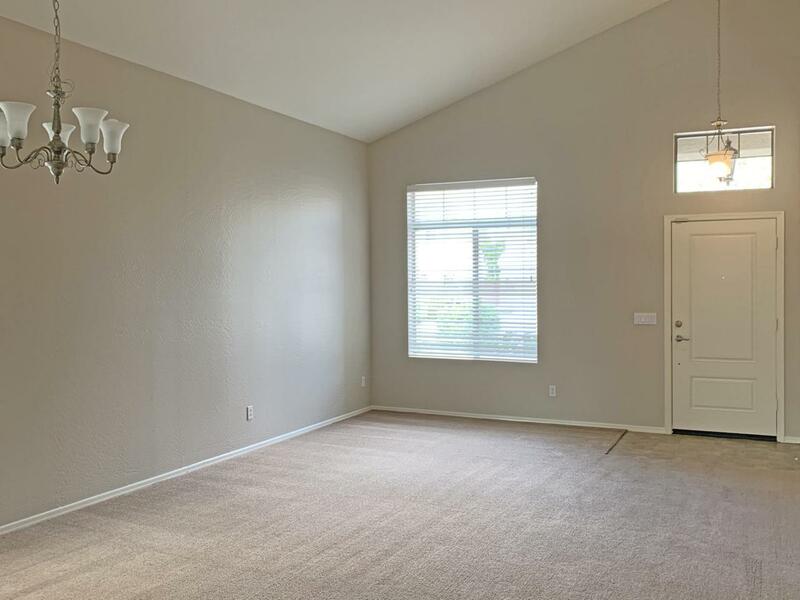 Home also has large Bonus Room off the Family Room that could be an Office, Game Room or enclose for 5th Bedroom/Guest Suite! And here's that 3 car garage everyone wants with Built-in Cabinets & Man Door! Double covered Patio plus Extended Patio Slab! Interior & Exterior just painted! Large park at corner & huge park on Mountain Vista! Low HOA includes heated Community Pool & Workout Area at New Community Center! Make this your New Home Today!